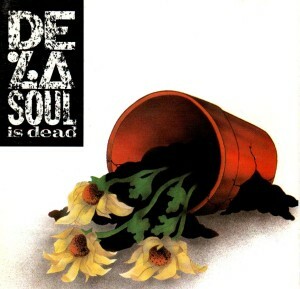 De La Soul is lionized as one of the great hip-hop groups. 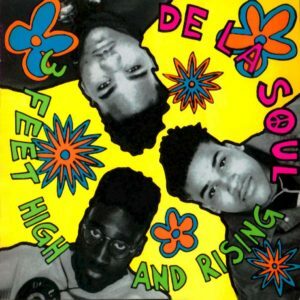 Their debut is acknowledged as a classic, and their sophomore effort De La Soul is Deal is occasionally mentioned as being as good or great an achievement, even if as a dark horse. What I hear on this evidence is something entirely different. I came to this while reading Thorstein Veblen‘s The Theory of the Leisure Class (1899). Taking Veblen’s theory as a starting point — and if you’ve ever read him you know it becomes hard not to! — what I hear on De La Soul is Deal is an exercise in demonstrating affluence. This is a group that spends more time crafting in-jokes and distracting skits than they do forging proper songs. It becomes clear that much of what they are doing is posturing. In some eyes it was a refreshingly different type of posturing. Nerds in hip-hop! But this was also a middle class type of posturing, which reflected the decadence of having time to goof off and make dumb jokes rather than toiling away at activities that provide sustenance. In Veblen’s terms, it’s conspicuous waste. I listen to this and can’t help feeling impatient that they seem to avoid getting to the real music. They do get there, eventually. But I’m left with what seems like a lot less than an album’s worth of artistic craft. Listening to this along with fellow Native Tongues group Jungle Brothers‘ finest achievement (Done By the Forces of Nature), this pales.